Richard Q. was totally professional, helpful, and did a great job. Late on a Tuesday evening I experienced what turned out to be a sewer line backup that caused my two toilets to overflow at the same time. I immediately called the Pink Plumber and they had me scheduled first thing Wednesday morning. TJ arrived and I felt comfortable with him from the very beginning. He listened, asked questions and explained what he was going to do fix my problem. After many attempts at snaking without success he came to me and offered his explanation of what could be happening. I followed him up on the roof and he tried again. I was able to see the blockage through the camera lens. His guess was that I had orangeburg pipes running from the house to the city sewage due to the oval outline you could see from the camera view. He was right. He called in additional manpower and got to work. TJ's professionalism and knowledge turned a very stressful time into one that I could understand and trust. He worked tirelessly until past 11 p.m. and never lost his polite disposition. Just as he had promised, we were able to shower and be back in business the same day. George was exceptional and knowledgeable. He was able to diagnose my problem immediately. George is personable and professional. I highly recommend him, he will get the job done. I am a highly satisfied customer and will ask specifically for George for any future service. George K. was very competent and honest. Service was quick and complete. Very satisfied customer! 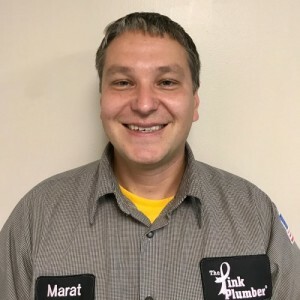 I was very pleased with Marat...he was professional,experienced and knowledgeable. He explained everything clearly and honestly. I would definitely recommend The Pink Panther!!!! 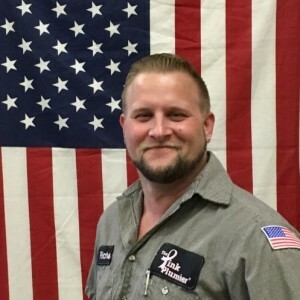 I experienced great service from the Pink Plumber, specifically from Jason Calci. 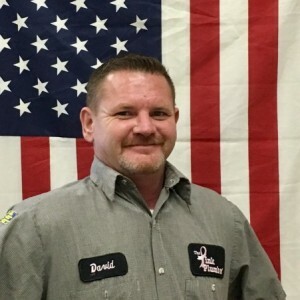 Jason was experienced, knowledgeable, and very pleasant to work with. Best thing for me was that he put everything back the way it was before he started. I had a line replaced in the front of my house (from the meter to the house) and when he was done you could not even tell the grass had been dug up. Jason even used a tarp to put the dirt on - super fantastic - and they went under the sidewalk!! Great service, very clean, very competent, and Jason has a great personality for this type of customer service work! Thanks Jason for a job well done!! 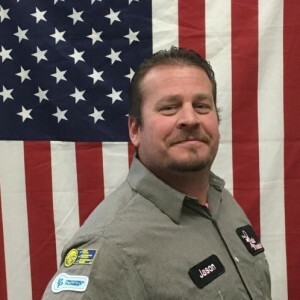 I would recommend Jason every time and I will be a returning customer when I have need! Richard Quoma was very professional. He explained everything and was very friendly. REPEAT CUSTOMER...service was provided by Felix and Joseph. They did an exceptional job and price was very fair since we were a repeat customer. Great Job!! Les was very professional and did a wonder job. Very personable and offered a lot of guidance! 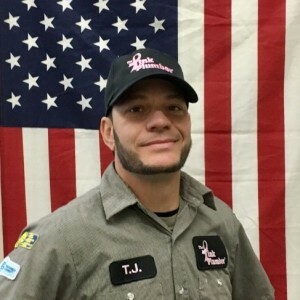 TJ came to our home on Friday to replace our leaking water heater. He was extremely nice, professional, and took the time to explain everything he was doing in great detail. He got us all fixed up before the weekend hit, which was great. 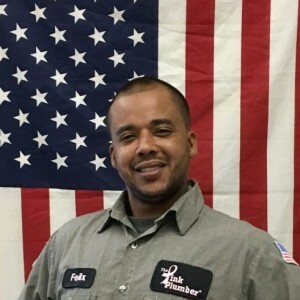 He was awesome to work with and we’ll be requesting him again in the future if we have any other plumbing needs. Thank you! They came on a Saturday morning. Many others would not and i had tenants with small children and no water! The tech called when he arrived and then when he had diagnosed the issue and gave me options with different prices. Perfect! He called for payment when he was finished and that was it. Everyone was happy! I called the Pink plumber to service my hot water heater. A couple more issues were found and corrected.I highly recommend The Pink Plumber. Very pleased with the service. Happy to be a Diamond member! Best and most efficient service ever! David took the time to make sure everything was working. He cared that the toilet was not only functional but also was perfect.